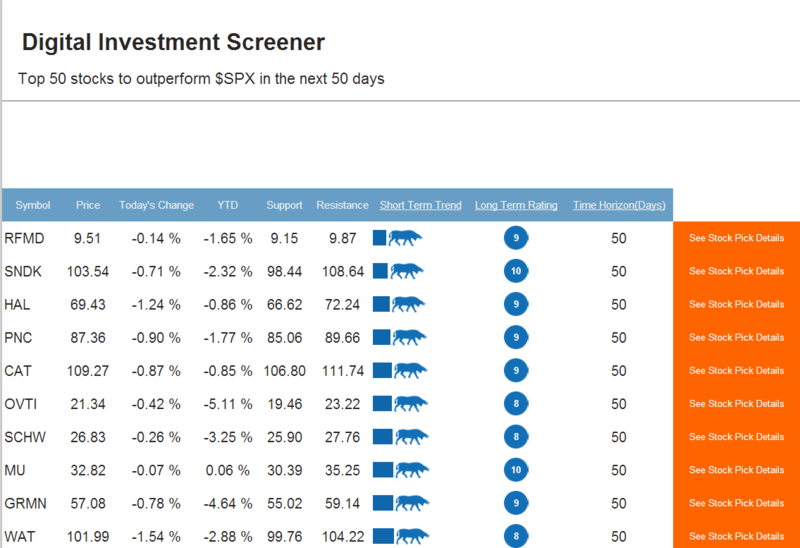 Tradespoon subscribers have exclusive access to the complete weekly ranking of stocks our precise predictive algorithms deem most overperforming/underperforming. Each week, our sophisticated algorithm ranks trades according to potential for return, based on assumed performance variance versus the S&P 500 Index (SPX). Then our team of trading industry veterans completes analysis to validate the rankings. These trade ideas are back tested using real trading. Tradespoon Bears is our ranking of the stocks our system determines most likely to decline in value. 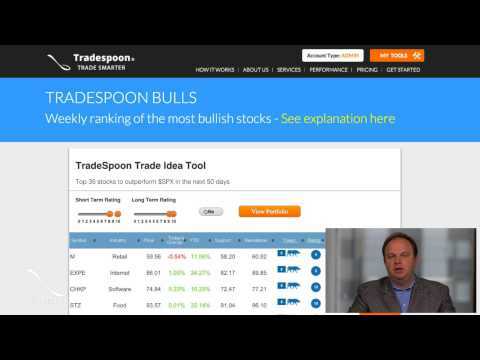 Tradespoon Bulls is our ranking of the stocks our system determines most likely to rise in value. While there are other stock rankings in the marketplace, none are based on a model like ours that is constantly refined for predictive precision, none are backtested using real trading, and none are readily available to self-directed investors.